My husband and I took advantage of the glorious weekend weather and made our way into Glasgow on Saturday. While he browsed in an over-crowded and claustrophobic music shop, I hung about outside and admired the pretty flowers being sold by a street vendor. 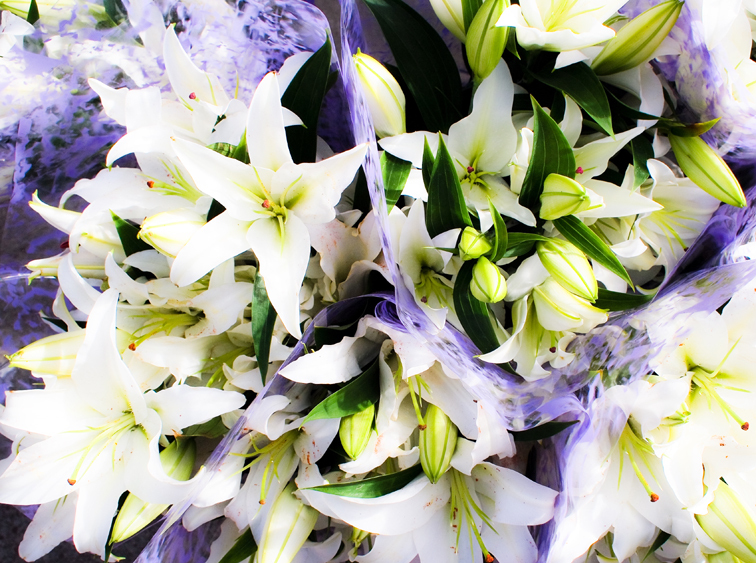 The lilies were my favourite.